Cutting Dies,Hstore Exquisite Gift Paper Card Making Metal Die Cut Stencil Template for DIY Scrapbook Photo Album Embossing Craft Decoration (A1) by Hstore at W-Squared Scrapbooking. MPN: 704816346641. Hurry! Limited time offer. Offer valid only while supplies last. ❀Description: ❀DIY hand embossing, Can help children's ability to develop intelligence ❀Made of steel material,good hardness and soft to touch. View More In Scrapbooking & Stamping. ❀Made of steel material,good hardness and soft to touch. ❀Best for making a beautiful greeting cards. ❀It can make different shape of paper crafts. ❀Which can be used to cut, emboss or stencil. 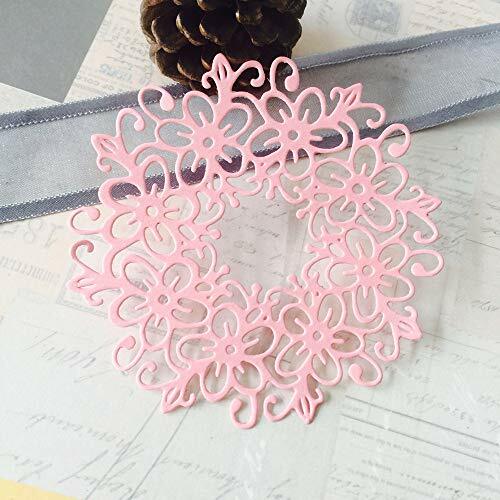 ❀These die cuts will allow you to make homemade cards, frames and cutouts. ❀you can even use these dies as stencils. ❀Amusing and meaningful,hurry up to try it. Appearance: colorful models, colorful colors, giving you different life interests. Start with your loved ones and make a secret to you. If you have any questions about this product by Hstore, contact us by completing and submitting the form below. If you are looking for a specif part number, please include it with your message.